Roof repair and roof maintenance go hand in hand, as good maintenance will limit the scope and cost of roof repair jobs. Minor tasks, such as sealing leaks and replacing damaged shingles, will preserve the life of your roof and maintain its quality. Additionally, it’s often possible to put off the large expense of a total roof replacement by making small, spot repairs as necessary. 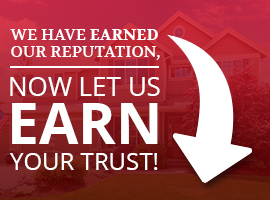 Whether you need roof repairs or a full roof replacement, we are the local roofers you can trust. Sorensen Roofing & Exteriors, G.C. serves the Greeley area and the entire Front Range, providing roof replacements and repairs done by a certified, experienced team of roofers. If you are experiencing problems with your roof, a thorough inspection, along with our roofing services, will give you the peace of mind to know that your roof is prepared to withstand any type of unpredictable weather Colorado can throw at it. 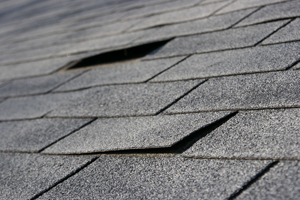 Read about more common roof problems. Even excellent maintenance work can’t prevent roof damage that occurs because of severe weather and freak accidents. Emergency roof repairs are often necessary when a building is exposed to high winds and impacts from falling trees. This often means getting out to the property quickly and prepared to protect your home’s interior promptly. Of course, some emergency roof repairs can be avoided by preventative maintenance work, such as roof snow removal to prevent ice damming and roof collapse due to snow loading. When emergency roof repairs are necessary, call Sorensen Roofing & Exteriors for a fast, effective solution. Each type of roofing material creates different challenges for roof repair work. For example, asphalt shingles, wood shingles, concrete tiles, and clay tiles often have damage to individual shingles or tiles, meaning those small pieces need replacement. Metal roofing generally comes in much larger panels, so those are only replaced when spot repairs aren’t effective. Finally, flat roof repairs are an entirely different process due to the rolled material and liquid waterproofing compounds used during installation. By performing regular maintenance, you can keep your roof in good condition and prolong its lifespan, saving you the hassle and expense of a full roof replacement. Whether your roof needs to be repaired or replaced, Sorensen Roofing & Exteriors provides quality roofing solutions at a fair price. Our roofing services are designed to restore the overall structural integrity of your roof. Call us at (970) 251-0911 or contact us online for a free estimate for roofing repairs throughout Greeley, Englewood, Boulder, Fort Collins, Longmont, Broomfield, and the surrounding areas.